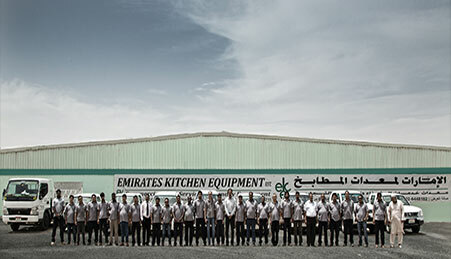 Since 1990, Emirates Kitchen Equipment has successfully developed and established itself as one of the region’s leading commercial kitchen and laundry equipment suppliers with its headquarters in Abu Dhabi. EKE is an international industrial certified (ISO 9001: 2008) company with branches in UAE, Qatar (partnership with Regency Group), Saudi Arabia (partnership with SARI Holding) and Iraq (Erbil, Kurdistan). EKE offers a wide range of Commercial Equipment for Hotels, Restaurants, Hospitals, Food Courts, Bakeries, Educational Institutions, Military Establishments, Airlines, Oil Companies Etc. along with Planning, Designing CAD Layouts, Maintenance & After Sales Services. 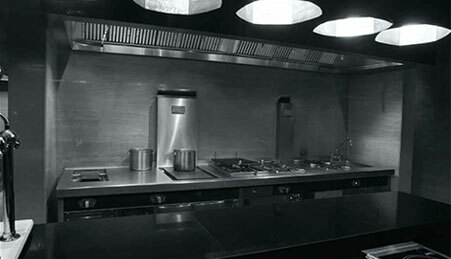 In EKE, our mission is to raise the performance of professional kitchens with the ambition to contribute our customers’ success through a deep understanding of their operations. Our perception of Kitchen is where state of the art systems and professional equipment add value beyond single products. Therefore we include services like planning, training and maintenance to our product range. This way we can deliver to our customers’ complete systems that are reliable and efficient throughout their life cycle. We are focused on and committed to bringing out the soul of any project we undertake, and have partnered with internationally renowned brands to cater to the evolving industry standards. With over 30 years of expertise, international industrial certification and branches in UAE, Qatar, Saudi Arabia, it’s no wonder that our projects, by virtue of their aesthetics and practical functionality, have been winning over the hearts and minds of many prestigious names - local, regional and international.